Verizon Wireless complaints number & email. Get verified information about Verizon Wireless complaints email & Phone number. To complain to Verizon Wireless about their service, call 1 (800) 922-0204 to discuss your issue. If this is unsuccessful in resolving the problem, the company have a complaints procedure to follow. In the first instance, you should contact Verizon Wireless by phone on 1 (800) 922-0204. If this does not work, then the next step is to write to the company. There is no email address or online contact form link on the website in the complaints section, so you will have to use the postal correspondence address. The website explains the steps required to progress your complaint. Verizon Wireless is an American telecommunications company which offers wireless products and services. It is a wholly owned subsidiary of Verizon Communications. It was founded in 2000 as a joint venture of American telecommunications firm Bell Atlantic. Verizon Wireless offers mobile phone services through a variety of devices. With 149 million subscribers as of October 2017, Verizon Wireless is the largest wireless telecommunications provider in the United States. Hopefully, We helped you to get some genuine records for Verizon Wireless Complaint information. 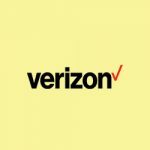 Use below complaint form to discuss problems you have had with Verizon Wireless, or how they have handled your complaints. Initial complaints should be directed to Verizon Wireless directly. You can find complaint contact details for Verizon Wireless above.